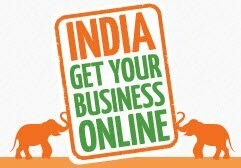 Google India has launched a new initiative, ‘India Get Your Business Online’, where it will be offering free websites, domain & hosting services to small and medium businesses in India. The program, designed along with local partners, will provide Indian businesses the tools and resources to start a new website easily. Although there are an estimated 8 million small medium businesses in India, only about 5% have a website. Google hopes to break down the barriers that may be stopping small businesses in India from getting online, and hopes to help 500,000 small medium businesses in India to get online in next three years through this program, with their partner Hostgator. You will be able to set up your website free. The domain, hosting and maintenance will also be free for 1 year. At the end of 1 year, you will have to pay to renew your domain name if you wish to continue and pay Hostgator their nominal hosting charges. All you need to take advantage of this program, is your address, phone number, TAN/CIN /PAN number. Head over to indiagetonline.in to create your account.